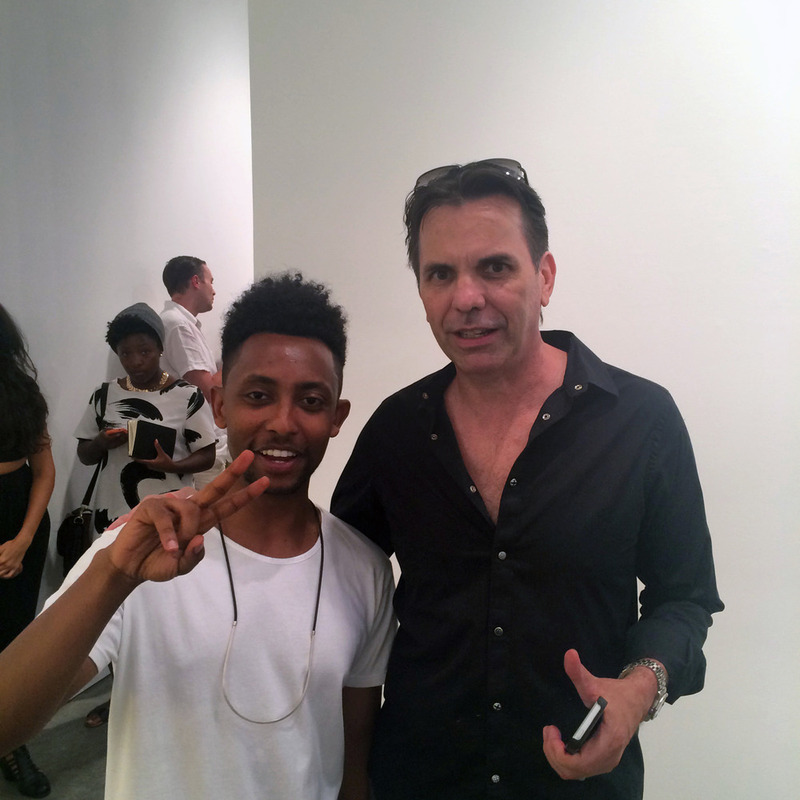 Pictured above is Awol Erizku and Scott Frank art collector. 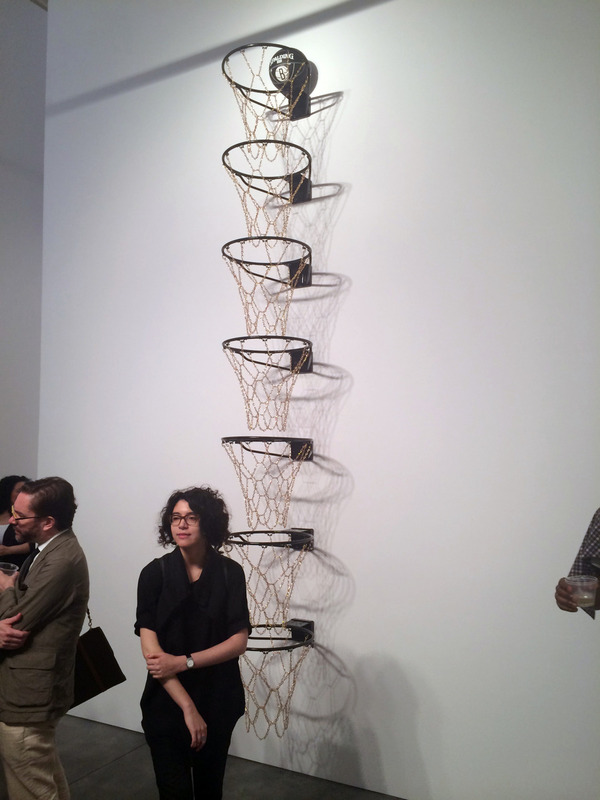 Great show from a new MFA graduate from the Yale school of Art. Many of his class contemporaries were there to support his break-out show at Hasted Kraeutler. With a precise eye, he has managed to reference modern art history with his own contemporary experiences. 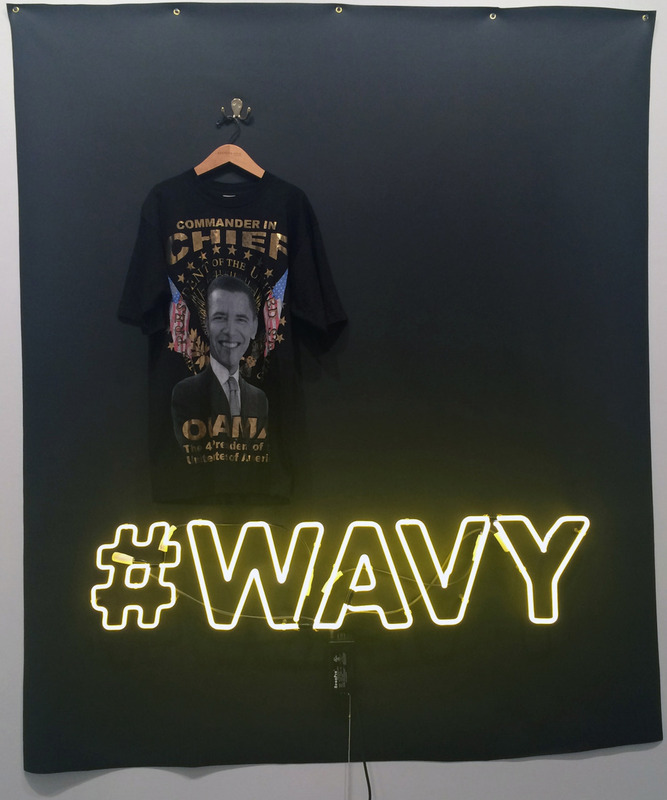 He is making Art and Hip-Hop accessible to two different cultures that rarely cross or share a commonality. 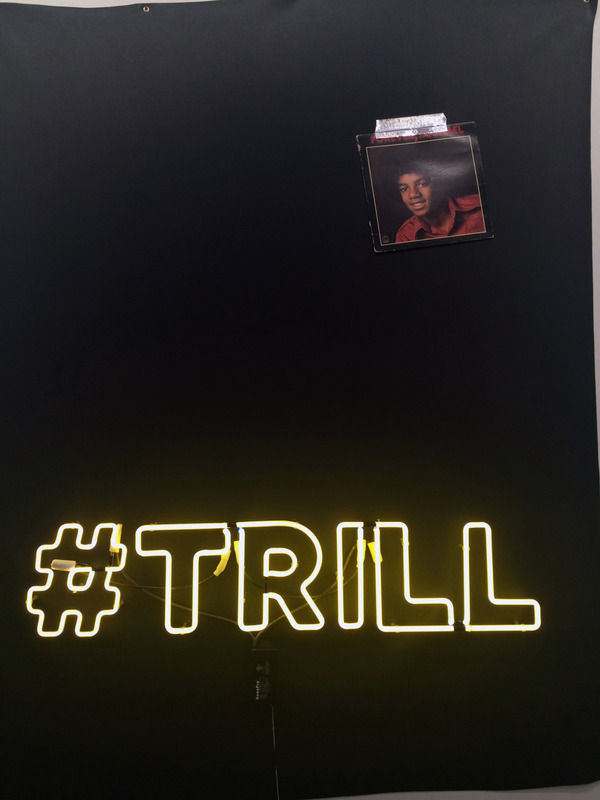 With his 7 story basketball hoops stacked vertically with the nets created out of gold chains and a Brooklyn Nets basketball sitting at top, there is no doubt the hip hop crew could relate to this piece. But with sly creative effect, he is referencing Donald Judd and sharing mental space with modern art world contemporaries. 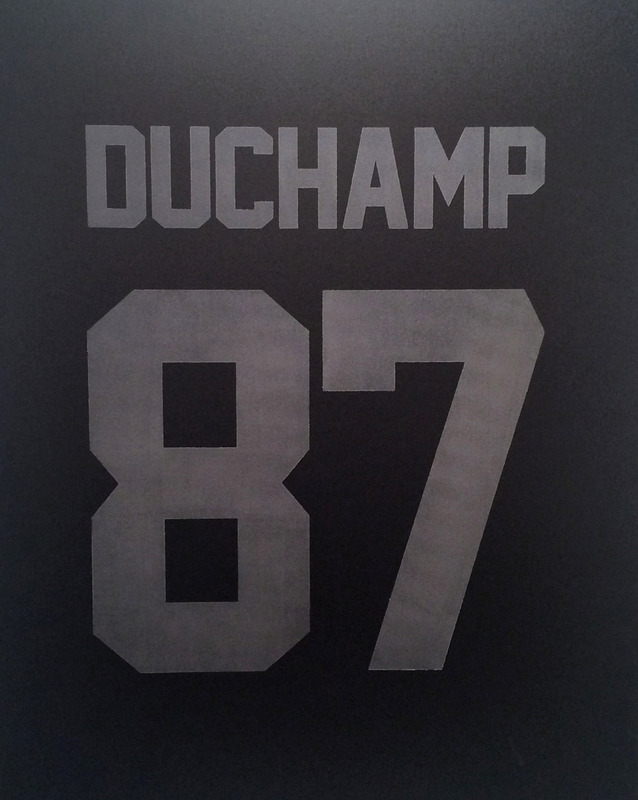 On the flip side with the Number 87 Duschamp basketball jersey, he’s taking a ready-made (very duchampian) and bringing the Hip Hop world into the modern art world with his ready made. Cool show. This kids on the move. Check it out.